Herman Kuijer (1953), based in Amsterdam/Hilvarenbeek, studied at the Academy for Industrial Design Eindhoven. He was professor at the Design Academy Eindhoven from 1991 to 2004. Kuijer is a conceptual light architect, mostly working in artistic contexts. 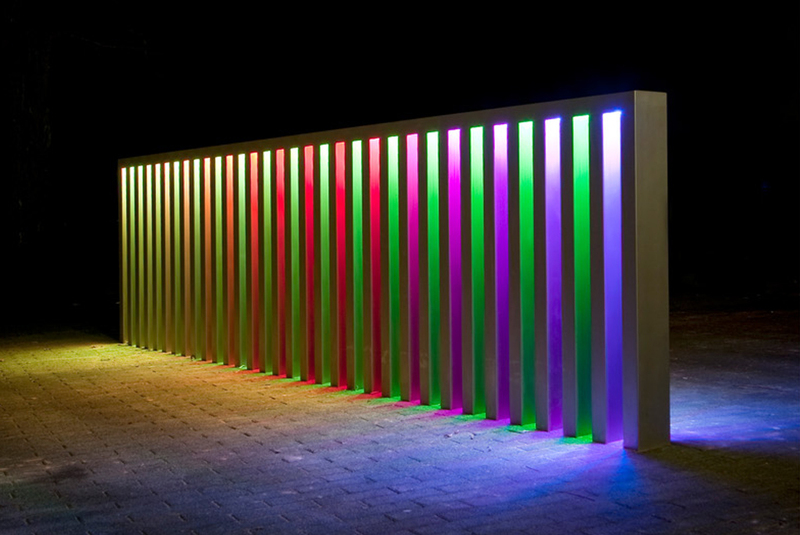 He combines light with shape and color, resulting into attractive interdisciplinary installations. His work is mainly site-specific and always a reaction on existing urban and architectural contexts. This is why his light works often function as architectural interventions. Besides that he creates autonomous sculptures as shown in many of his commissions. Kuijer has worked for local governments and international companies such as Rabobank, Aegon, Achmea/ Interpolis. He is currently working on commissions from Robeco and the cities of Zutphen and Schiedam.